Peaches in the summertime, apples in the fall, if I can't have the girl I love, I don't want none at all. 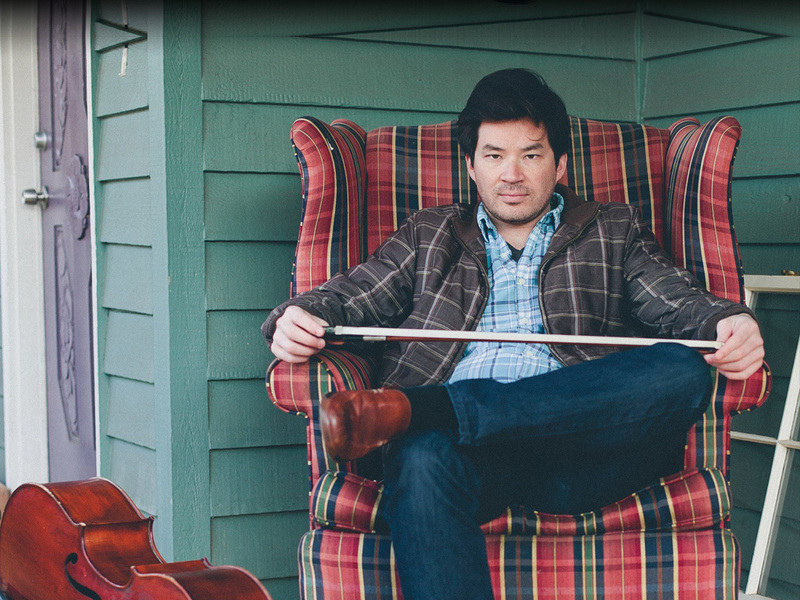 Takénobu translates to “Iron Will” and is the stage name and middle name of Japanese-American Nick Ogawa, a classically trained cellist raised in Vermont and relocated to Atlanta, Georgia. Takénobu's modern take on the cello combines live-looped layers of string lines influenced by blues, folk, and other modern music. "I grew up in a rural town in Vermont where I spent a lot of time playing in the woods with my dogs and started taking cello lessons when I was 6 years old. I trained classically until I was 18, when I started to get bored of traditional classical music, and I started to branch out and began playing bluegrass, blues, and other non-traditional music for the cello. When I was 20, I spent a year living in Kyoto Japan with my dad and during that time focused primarily on improving myself as a cellist, and singer, while exploring the city and its temples and other cultural wonders. While in Kyoto I taught myself to sing and play at the same time, and began seriously writing music that I could perform. Since then I’ve lived in New York, Philadelphia, Vancouver BC, and now Atlanta. I taught myself how to compose and produce music using Apple Logic recording software and a laptop, and I’m always exploring new ways of using the rich sound and dynamic range of the cello to make new, interesting, and beautiful music," says Takénobu. After releasing his first album independently in 2007, Takénobu began receiving heavy rotation on Pandora internet radio, and has released 3 more albums and now licenses and composes music for independent documentaries and films.